Purple vinyl and smoke mirror was used in '4th Dimension', one of the favorite party rooms for guests. 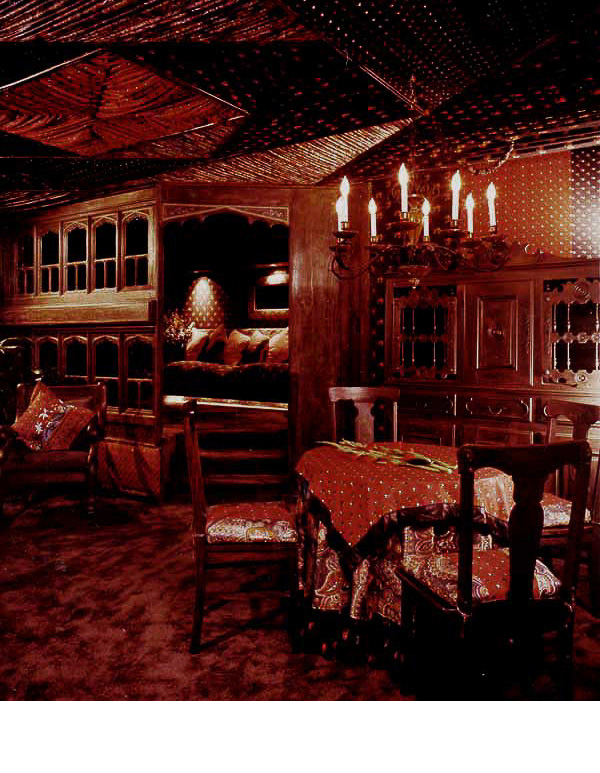 Gypsy Caravan was one of the 130 unique rooms in the Hotel Mutiny. 'Zirka' was a room of embedded colored glass in tinted plaster walls. Arabian Nights was a room often used by the movers and shakers of the cocaine cowboy era, in Miami, during the late seventies. Shibui was a Japanese inspired room complete with a Japanese bath. Ship plans were glued to the walls and hung with sailor's monkey knots in the Nautical Suite. The Mutiny Hotel was developed in the late seventies from a converted apartment building, to a thriving hotel booked 93% of the time, on Sailboat Bay in Coconut Grove. The owner, Burton Goldberg developed the hotel after seeing the need for rooms when guests would come far and wide to his two level club, perched on the front of the twelve story building. 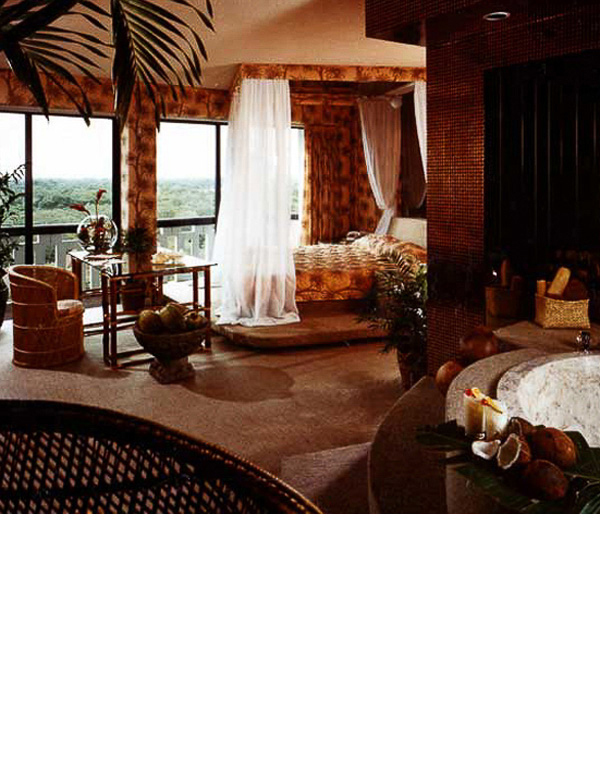 Ten rooms were developed by his girl friend Denise Domb, until Carolyn Robbins came in 1978 to complete the rest of the 110 rooms with her staff of three. Each room in the hotel was different than the next with roman tubs in most. Recently in the Fall of 2017 a most compelling book, Scarface Hotel, written by Roben Farzad, has been released depicting the goings-on in the hotel and club which was known at the time for where high rollers and drug cartel came. Partying in the numerous hot tubs, ordering flaming drinks and pole dancers, was the norm. As a design project it was a feat in how to manage a maintenance crew who built the rooms in-house and a housekeeping staff educated in how to maintain everything from polished plaster walls, to patin leather, tatami mats and velvet curtains. There has never been another hotel of its size and popularity in the US and probably will never be. It was the passion of a single man, his dedication for creativity, finding the personnel to fulfill his dream, of serving his clients with high entertainment and interior adornment beyond anything of its kind. This is what made The Mutiny Hotel and Club an international sensation.